The Rose Bowl Southampton which hosted VentureFest South at which Clamp-IT was demonstrated and Yellowbike pitched for equity investment to pay for pilots, the cost reduction exercise and for a sales and service team for Clamp-IT. The Royal Society in London hosted the Rushlight Show at which Clamp-IT was presented and exhibited. 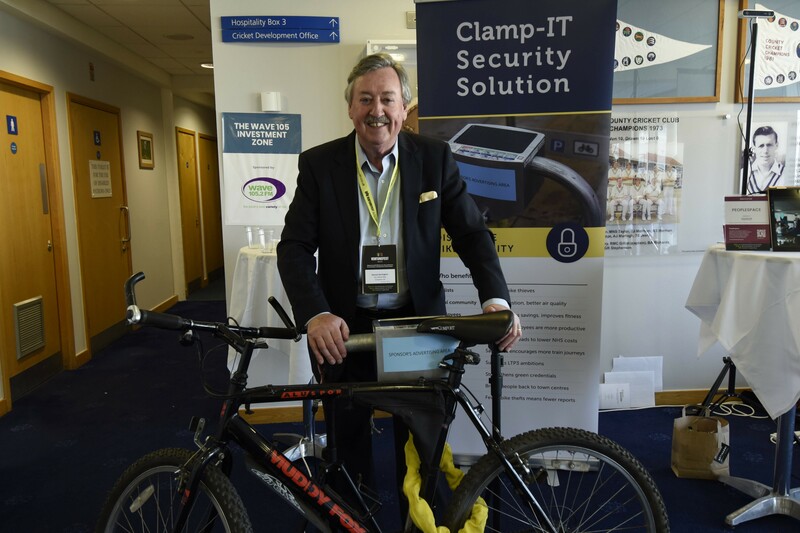 Yellowbike will be introducing Clamp-IT at the Cycling & Walking Innovations 2018, KIA Oval Cricket Ground on Thursday 5th December. Clamp-IT is a Bike Security Network. 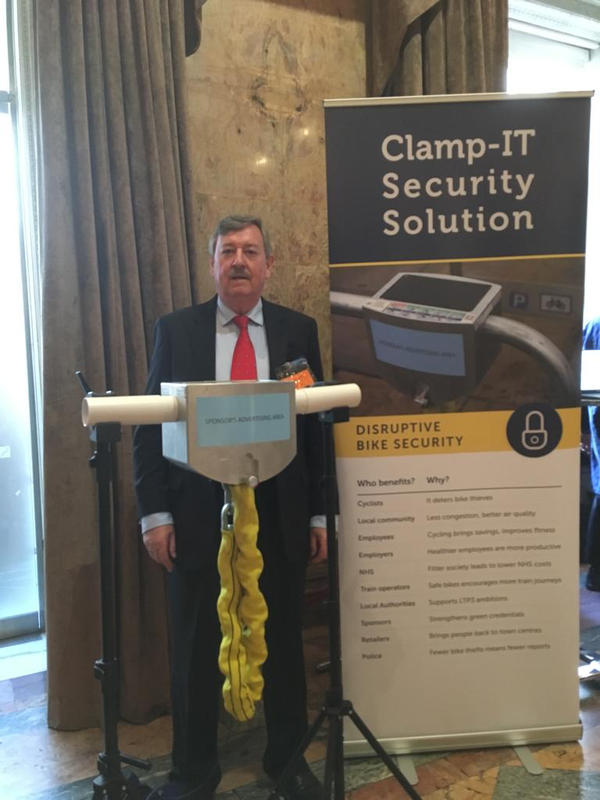 Offering a new deterrent to bike thieves, Clamp-IT seeks to change the lives of all cyclists by providing a network of secure bike locking facilities where ever they go. 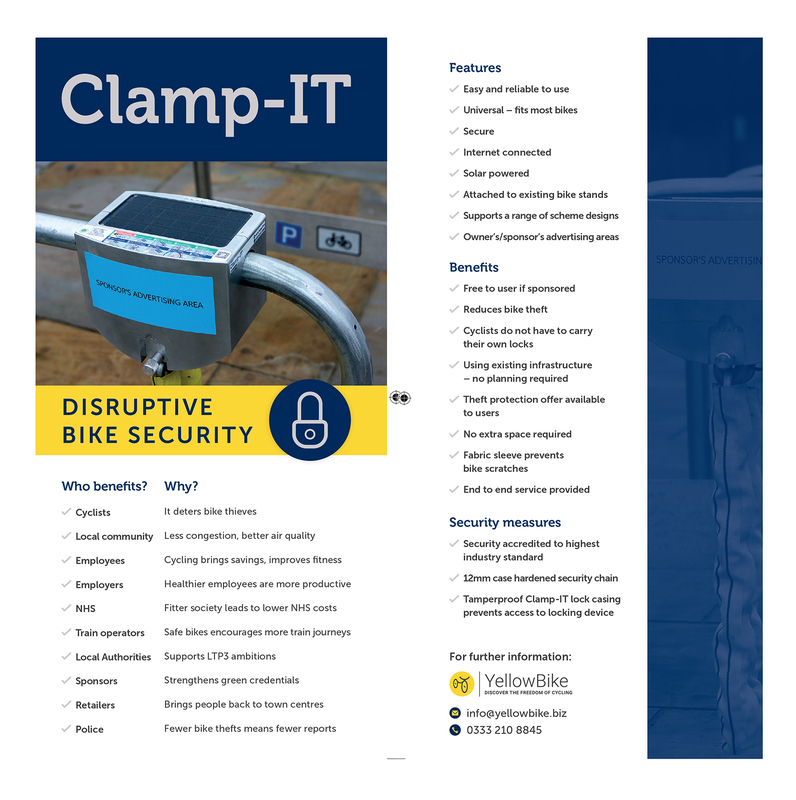 Accessed through their mobile and located on existing bike stands in city centres, railway stations, places of work, outside gyms and places of entertainment, Clamp-IT offers greater security than hitherto available on the street. In the same way that the storage of data moved from a local computer to the Cloud, bringing simplicity to the user, reliability and access anywhere, so will Clamp-IT be another market disrupter by providing security as a service, managing a cyclist’s security, taking their liability and letting them get on with an active cycling life. Clamp-IT is highly configurable, both in operation and in the commercial model. We can support a range of scheme designs, including those that are free to the user when there is appropriate sponsorship. 4475 bikes are stolen every day in England and Wales – equivalent to one every 19,3 seconds. Our mission is to eradicate bike theft. Come and visit our stand, listen to our presentation, read our short flyer or visit our website. Best of all, when available, sign up for free and try out our Clamp-IT service and tell us what you think?